Look no further for information on the upcoming tradeshows in the Alberta and western Canada region. Need more ideas on what you can do to better your space? 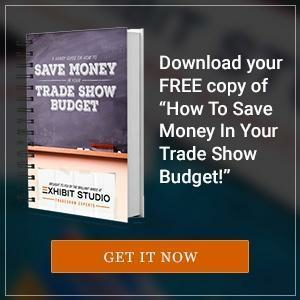 Interested in attending a trade show in the near future? At Exhibit Studio we are happy to help. From provincial to national, we are always updating our tradeshow list. View shows that are coming up in your area. The LGAA Board is thrilled to invite you to attend the 60th Annual LGAA Conference and Tradeshow presented in official partnership with the Alberta Urban Municipalities Association (AUMA). This year, our theme is EVOLVING LEADERSHIP which is fitting given that it's our diamond anniversary of providing excellence and building network strength for municipalities in Alberta. Our conference this year highlights the significance of leadership, collaboration, and adaptability required for the strength and resiliency municipalities in Alberta continuously demonstrate. The Edmonton Motorshow has been Edmonton’s premiere automotive event for the last 42 years, and is the largest show in Western Canada. Housing upwards of 750 vehicles means patrons get to experience all the automotive world has to offer; the latest from Manufacturers, classics, exotics, or customs, the Motorshow has it. There are various interactive elements like test drive zones, simulators, and a collector car auction. You can also enter to win a vehicle, racing packages and other prizes. We pride ourself on being a family show, continually striving to grow and offer new and exciting elements to our patrons. Don’t miss out, come and enjoy the automotive excitement with us! America’s love affair with the automobile is legendary. In fact, for over fifty-seven years, custom car shows have paid tribute to the innovative workmanship that continuously re-invents and improves the vehicles of yesterday and today. Championship Auto Shows (CASI), the undisputed leader in indoor custom car show production, produces the largest show series in the business: better known under the monikers of Autorama or World of Wheels. Close to 20 events are held annually across the United States and Canada. Hot rods are always at the heart of each show, but in recent years the composition has expanded to include manufacturers displays. As a result, today’s shows appeal equally to those who own competition cars, specialty and concept vehicles and those who dream about owning them. Calgary International Auto and Truck Show is titled to be the leading trade show in the entire region of Calgary where the automotive professionals will come across marketing and promotional services which will aid them to widen the respective marketing networks and create an individual brand. Over 750 retailers & artists from all over join Calgary Expo to make your experience an unforgettable one! Specializing in everything comics, anime, gaming, sci-fi, horror and more! It is THE area to find just what you’re hunting for – whether it’s a comic book from any era, original artwork, graphic novels, memorabilia, DVD’s & BluRays, videogames, toys or t-shirts – you’ll find it all here! Meet your favourite stars such as Michael J. Fox, Christopher Lloyd, Zachary Levi, Rainn Wilson, Pamela Anderson, Sean Astin, Corey Feldman, Ian Somerhalder, Paul Wesley, Tom Welling, Peter Weller and so many more! Are you ready for summer at the lake? Meet more than 150 exhibitors with everything you need for lakeside and country living. This show features high quality exhibitors showing log cabins, timber frame homes, conventional construction, boats, docks, contractors, innovative building products, green solutions, decor and style, arts and crafts, food and entertaining, water toys and fun for all seasons. 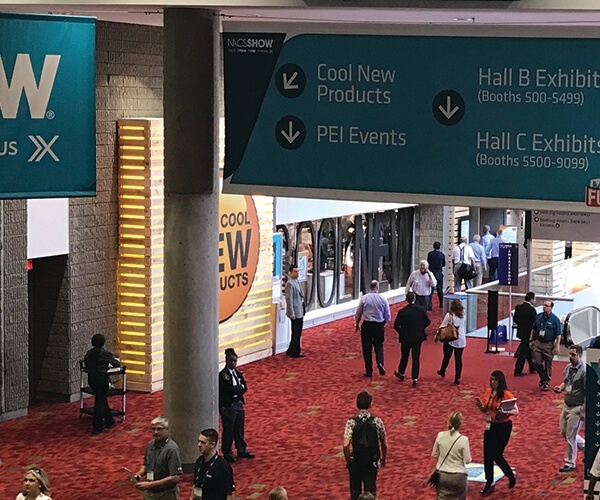 The CIM 2019 Convention is a line-up of expertly-led short courses, 3 full days of technical presentations divided in 7 different and innovative themes ranging from Industry 4.0 to Health and Safety, great networking opportunities, a complete student / young leaders program, and a world-renowned trade show. This year's convention will focus on information, intelligence and innovation. The CIM EXPO (April 29th & 30th), Canada's premier mining trade show, will feature once again hundreds of companies showcasing the latest in mining equipment, tools, technology, services and products. You will not want to miss out on Canada's leading mining marketplace. TGeoConvention offers some of the best local and international insights to efficient energy exploration and production, critical to the success of the industry. GeoConvention 2019 technical content will build upon the success we saw in 2018 hosting topical sessions within impactful themes and an opportunity for delegates and exhibitors to benefit from and give back to the community, through Technical Sessions, the Showcase Stage and the Exhibition floor.